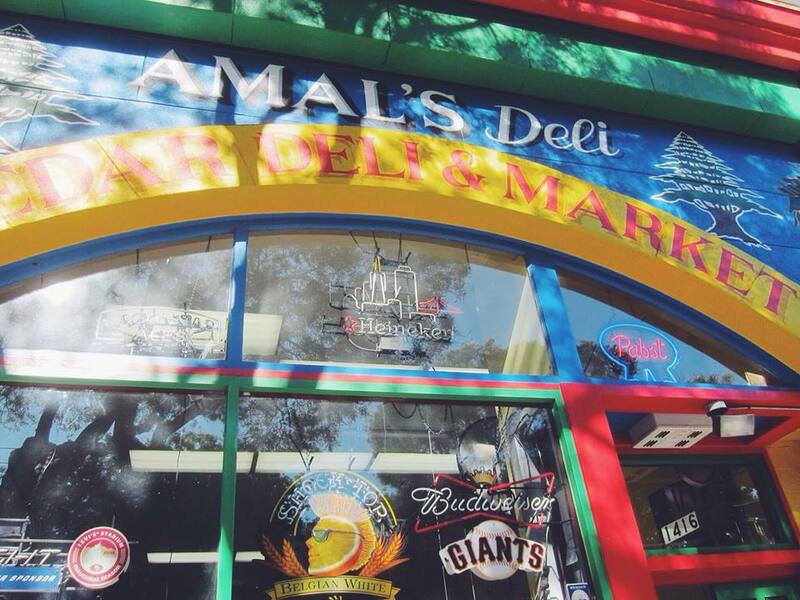 San Francisco is a city of dreamers. A melting pot of different cultures. 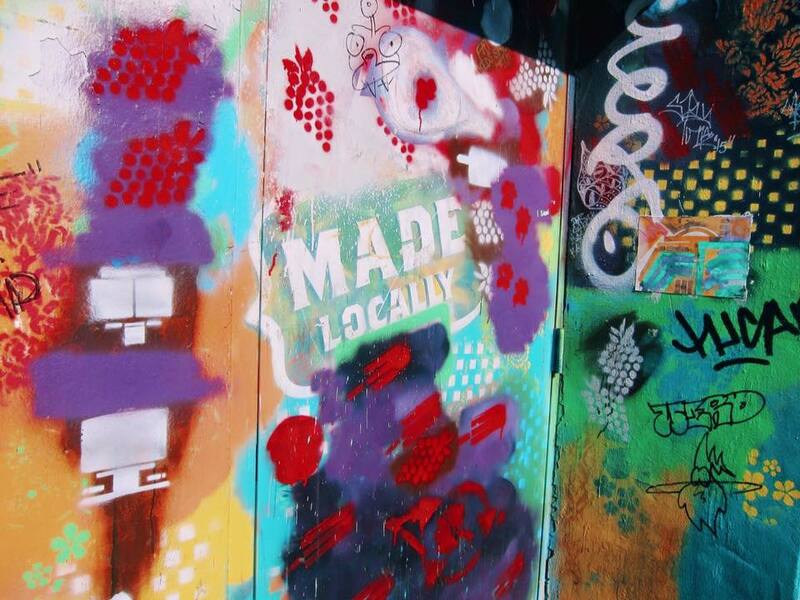 A city of creatives, innovators, history definers and world changers. 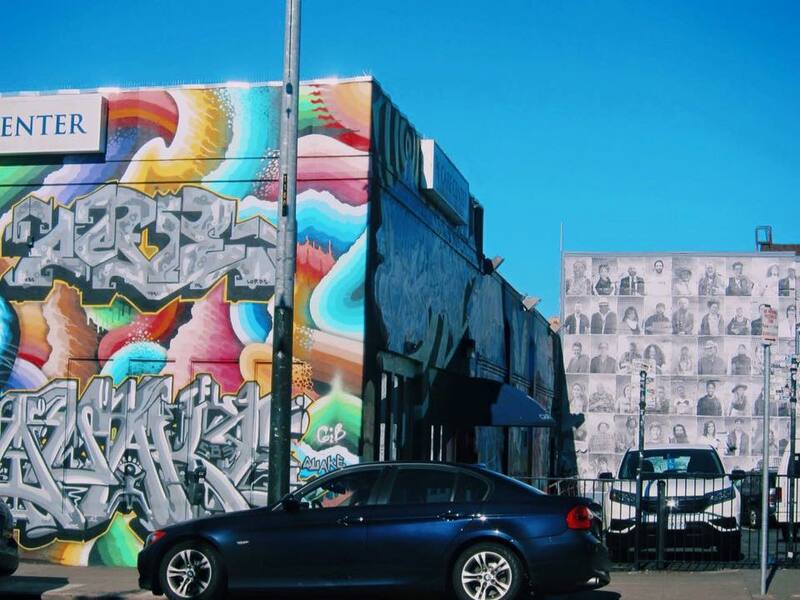 The locals speak of their city with the deepest fondness and travelers tell tales of how they left a piece of their heart somewhere in between the rows of pastel Victorian era homes. 1. Don't watch San Andreas on the plane ride there. 2. Photos and movies don't do it justice. 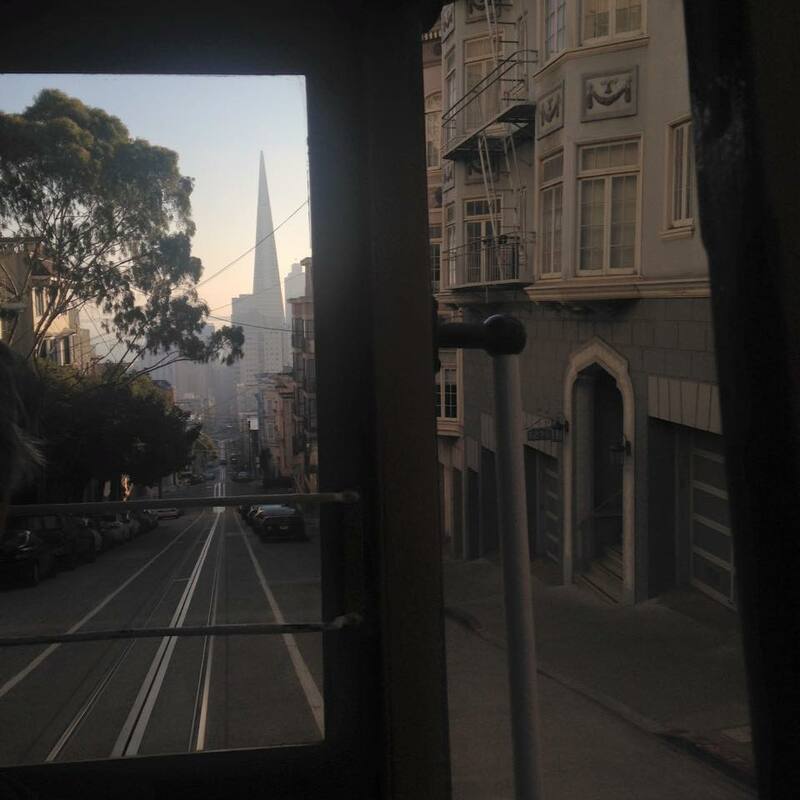 San Francisco is such a beautiful city that is even better when you see it for yourself. 3. 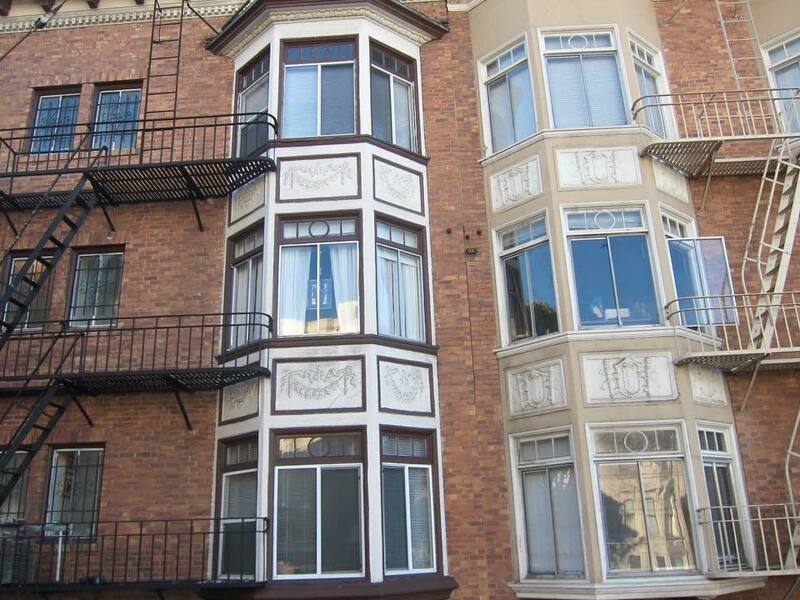 San Francsico is packed into 49 square miles. 4. The 49ers don't even play in San Francisco, they play in Santa Clara. 5. It is a very walkable city. 6. Converse give you blisters. 7. Some people don't even know where Auckland is. Barista: I like your accent, where are you from? 8. The Golden Gate Bridge is not the main bridge used by Bay Area residents, that would be the Oakland Bay Bridge. A driver on a tour bus told me that the Oakland Bay bridge is like Cinderella, it does all the dirty work while its step-sister gets all the glory. 9. The Golden Gate Bridge isn't gold, it is International Orange. 10. The bridge doesn't get its name from the colour. It is actually named after the Golden Gate Strait, the entrance between the Pacific Ocean and the San Francisco Bay. 11. The good weather that I got mid-November was insanely abnormal. Mark Twain once said that "The coldest winter I ever spent was summer in San Francisco". 12. Even though the sun was out for most of the time I was there, the weather changes quickly and often. It can get chilly very quickly so it is always good to be prepared with a light jacket. 13. I was lucky enough not to meet him, but the fog of San Francisco has a name. It is Karl. He even has his own Twitter and Instagram accounts! 14. 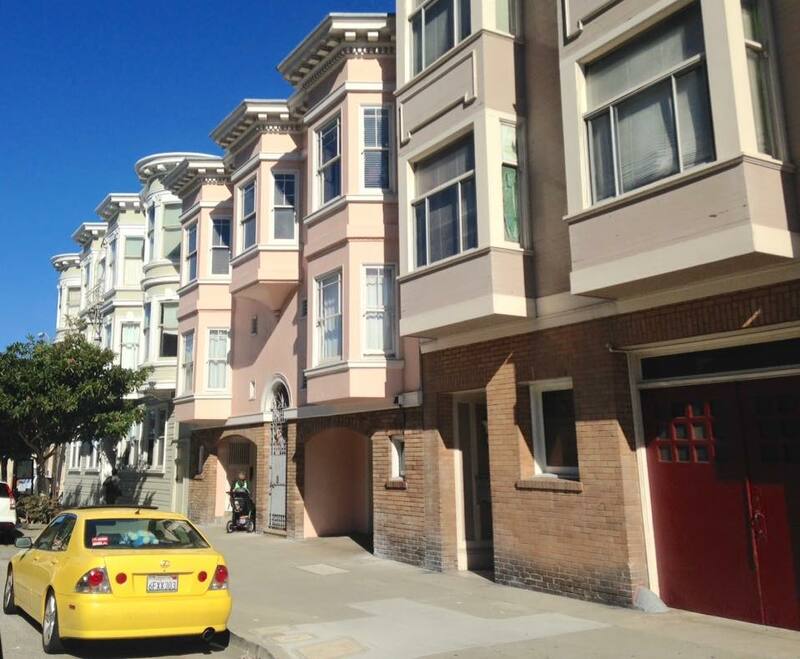 Mrs Doubtfire lives at 2640 Steiner Street. 15. Fisherman's Wharf is tourist central. I can't imagine many locals coming down here all that often. 16. Clam Chowder at Fishermans Wharf is a must! 17. 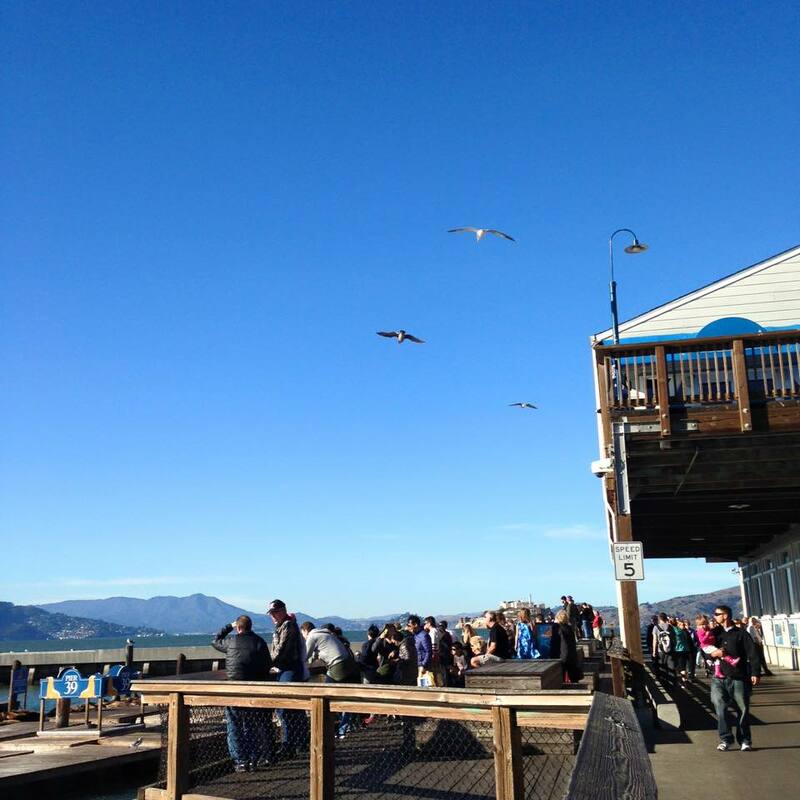 Pier 39 is the second most popular tourist destination in California, the first being Disneyland of course! 18. There once was a man who made a living by scaring the heck out of unsuspecting tourists at Fisherman's Wharf. He would target those too caught up in looking at the scenery to notice the bush that he disguised himself as. He would then jump out and scare the tourists! Unfortunately, bush-man passed away in 2014. 20. 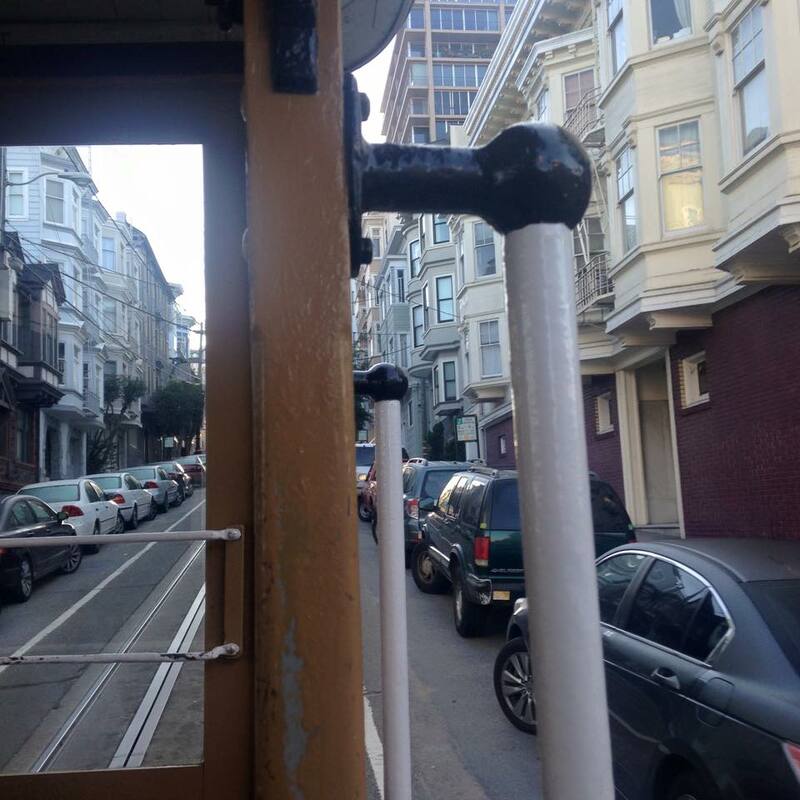 San Francisco has the last manually operated cable car system in the world. It has certainly become an icon of the city. 21. The numbers of the piers are in a really confusing order. 22. If you walk through the gift shops at Ghirardelli enough times, you will acquire enough free samples you won't actually have to buy anything. 23. The Ghirardelli salted caramel hot chocolate is worth every cent! 24. 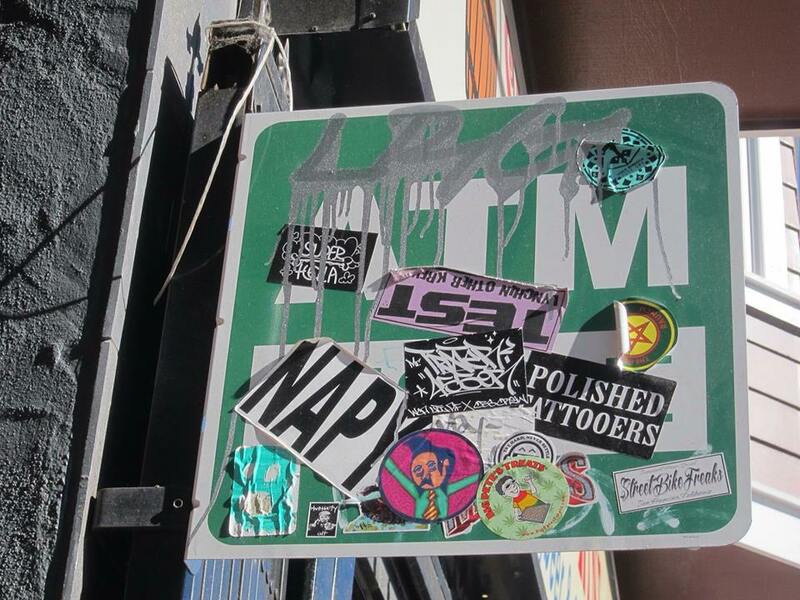 The Tenderloin is the area to avoid after dark (and arguably at any time of the day). 25. 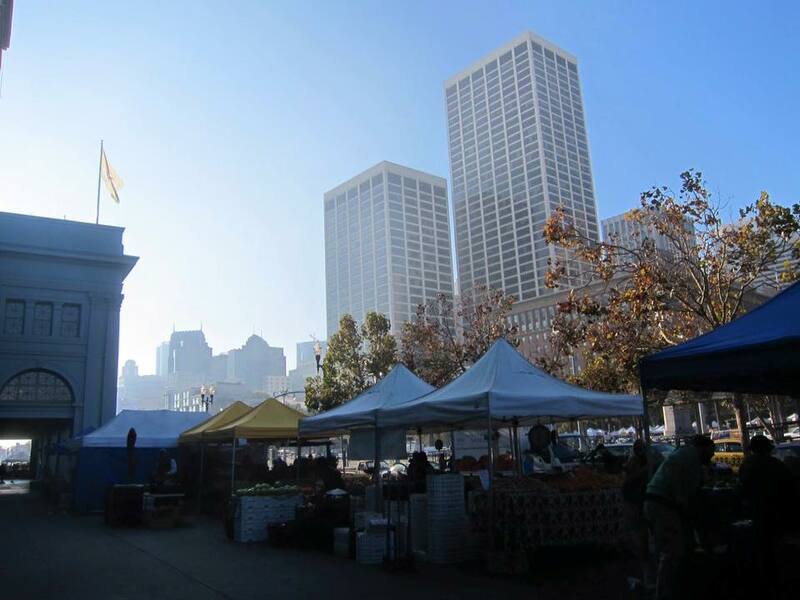 Until the 1950's, San Francisco was called 'Yerba Buena' which translates into Spanish as "the good herb".... but not for the herb that comes to mind when you think of San Francisco. 26. 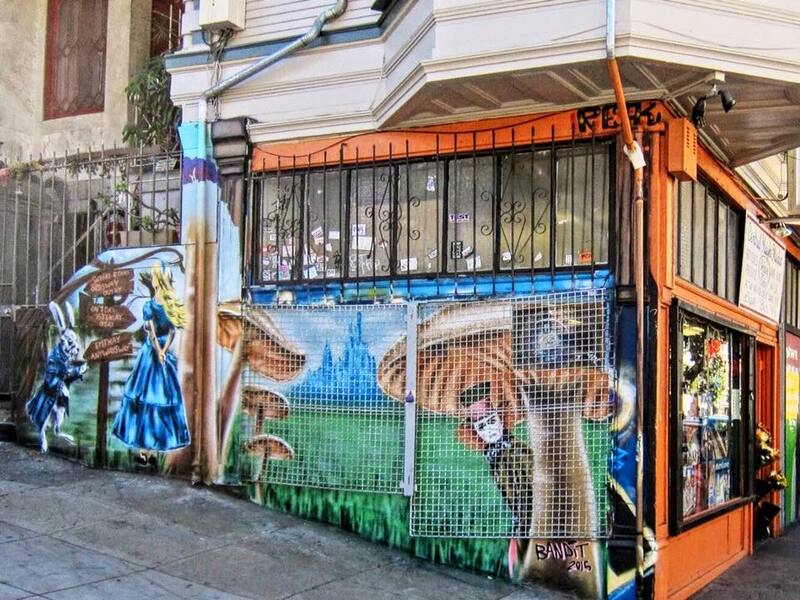 The air, especially around the Haight smells strongly and distinctively of the herb that first popped to your mind. Marijuana is legal in California with a so-called-medical-prescription. 27. 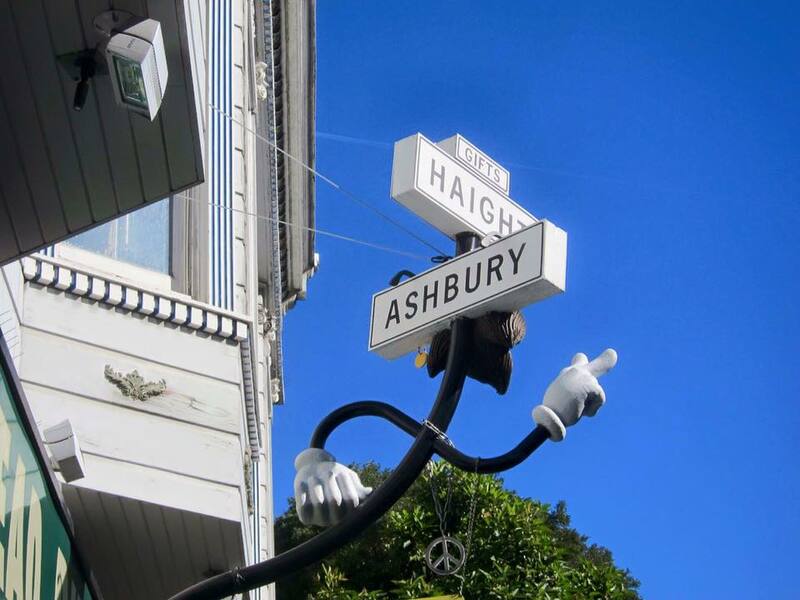 The Haight-Ashbury district was the heart of the 'Summer of Love'. 28. 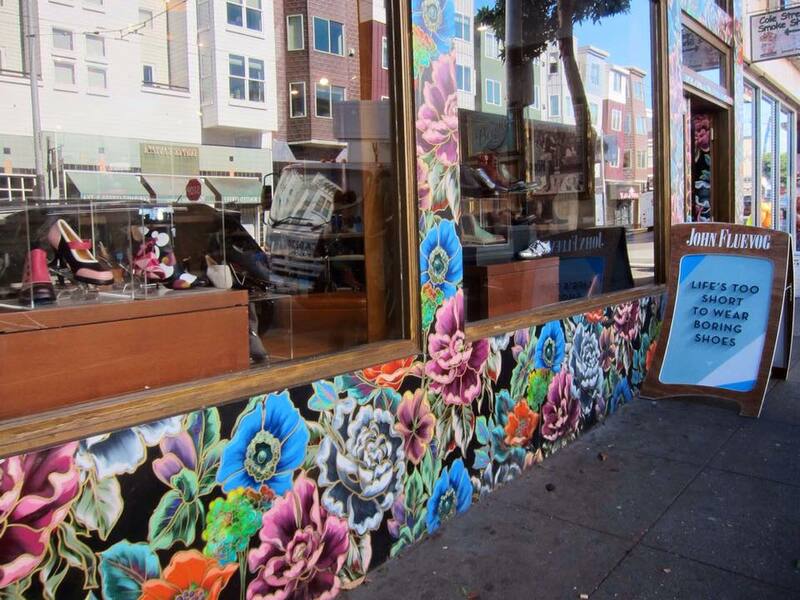 Hippie culture is still strong in San Francisco to this day. 29. Hippie Hill has become the home of the '420' celebrations. A counterculture celebration in which on the 20th of April (4/20). There is a lot of speculation as to how this number became associated with weed but on this day, people flock to Hippie Hill to smoke a joint. 30. The cable-cars are strictly for tourists. The locals use the BART and MUNI systems. 31. Keep right, not left or you will get yourself some escalator haters! Lucky I learned on an escalator and not behind the wheel of a car! 32. You don't drink Starbucks coffee. As much as I am eager to try a Pumpkin Spice Latte. That can wait until I leave the city notorious for having some of the best cups of Joe in 'Merica! 35. Sausalito is a small town just over the Golden Gate and although the shops close early, its sunsets are STUNNING! 36. Lombard Street is one of the most crooked streets in the world. But visit in the early hours of the morning when it is quiet. 37. Denim jeans were invented in San Francisco by Jacob W. Davis and Levi Strauss in 1871. 38. The number of the Jarryd Hayne NFL jersey which I learned are ridiculously priced! Surely they will come out with replicas at the Auckland night markets soon hahaha! 40. Early morning is the best time to see the city. I didn't want to waste a single moment of my trip so each day I would get up at the crack of dawn and walk to a different point in the city to watch the sunrise. The streets are quiet in the early morning. You see the occasional cyclist or runner, but there is hardly any traffic on the road. The photo below is the sun rising over the Oakland Bay Bridge, taken from the Coit Tower. 41. 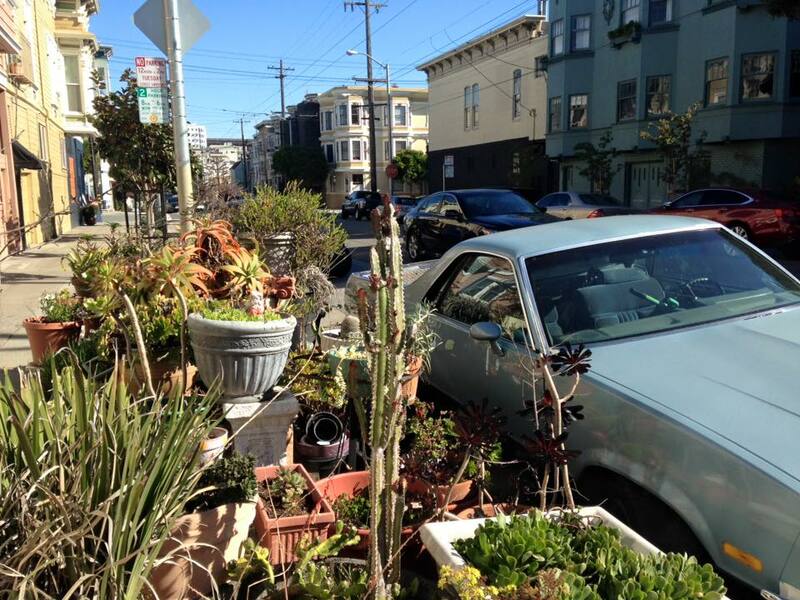 San Francisco is located on the San Andreas Fault Line which means that is is prone to earthquakes. 42. The 1906 earthquake destroyed over 80% of the city. 43. Areas such as the Marina District, Mission Bay and Hunter's Point are built on landfill. 44. San Francisco is built on 43 hills. 45. 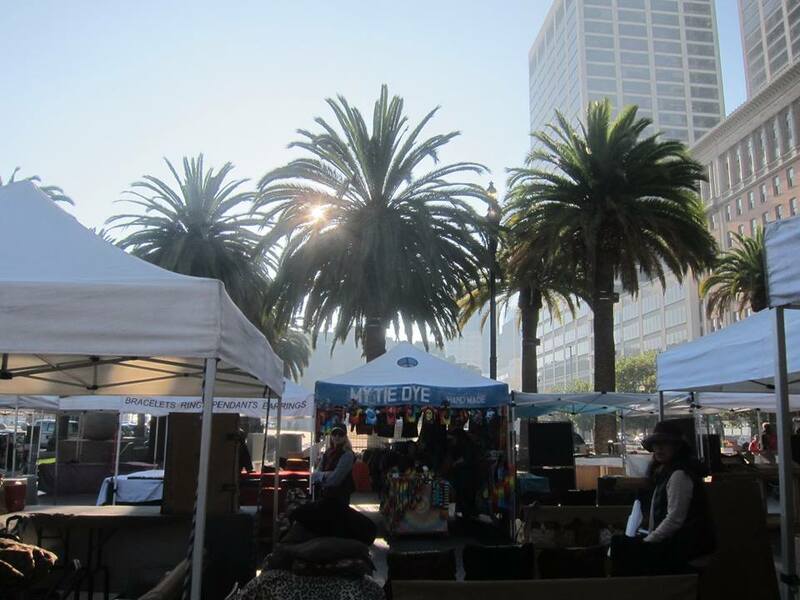 Farmer's markets are run at the Ferry Building three times a week showcasing a wide range of local goods, produce and street food. 46. The parks are where it's at! 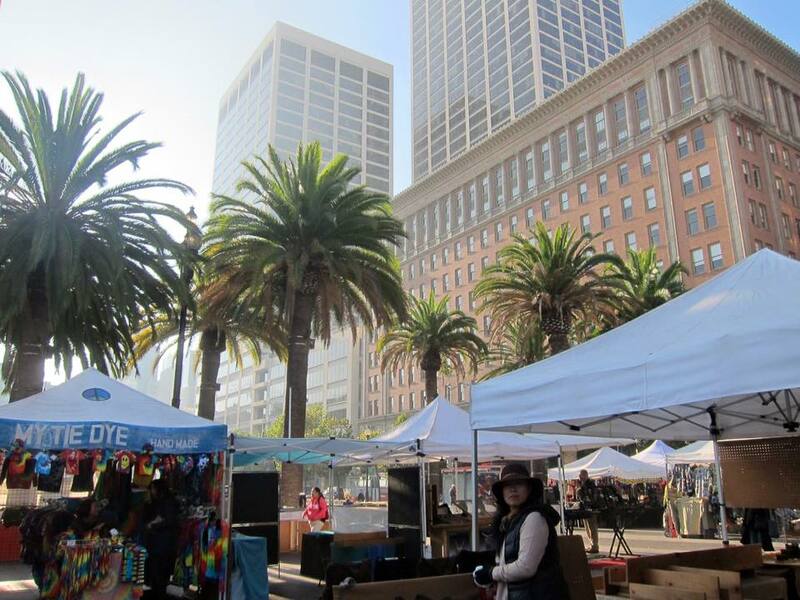 San Francisco has lots of beautiful outdoor spaces that are a hub for the locals and a great place to people watch and enjoy nature. 47. Where I stayed was the perfect fit for me. 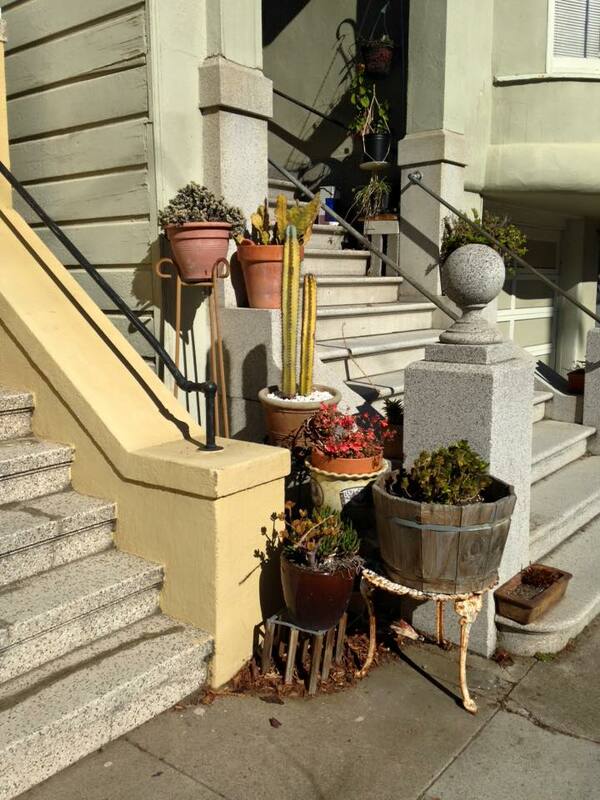 I stayed at the HI SF Fisherman's Wharf Hostel in Fort Mason. It was only $40 USD per night, but the value for money was insane. It is in a picture-perfect, bay front and relatively secluded location that none of the hotels could compare with & it included linen, hot showers, activities, wifi and breakfast every morning. 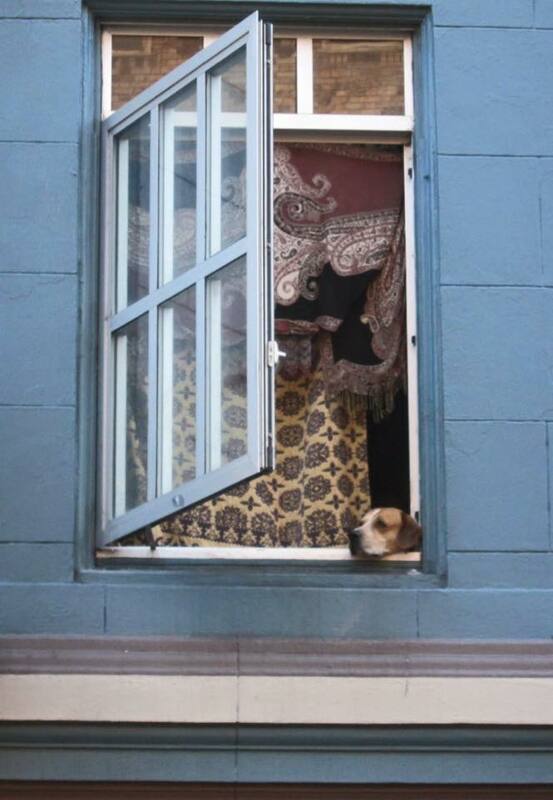 There were private room options available, but I stayed in a dorm room which was a great way to meet people as a solo traveler. I just hope they weren't woken up at 5am each morning as I climbed off my top bunk and set out to seize the day! 48. Every house is a masterpiece. 49. It is quirky, eccentric, trendy, eclectic and simply FABULOUS! You've been a blast San Francisco!